“What a little gem!” 5 of 5 stars - We discovered the Parrot on our tour of Canterbury. It was near a remnant of the old Roman wall and was built back in 1370. The service was really friendly and it was lovely speaking to the waiters and the manager about the restaurant. The food was great - the posh fish fingers and the three fish pie were excellent. The ambience was lovely and the setting couldn't be better. We really enjoyed the experience and the food. 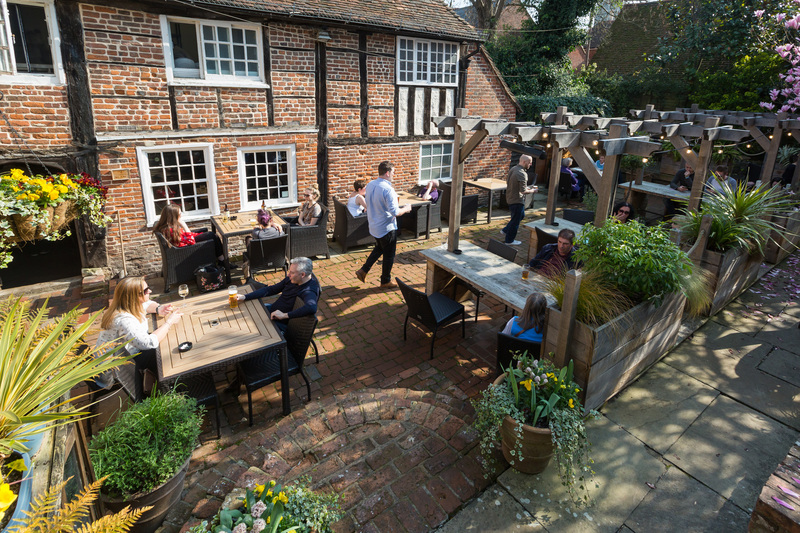 “Wonderful food in a 14th Century building” 5 of 5 stars - We visited on a busy Saturday night and ate upstairs. The burger my husband had was the best he has ever had and he has eaten lots of burgers. I had the sweet potato salad and almost licked the plate. Our friends had chicken burgers and liked them as well. The setting is classic pub with crooked stairs and open beams. Our service was great, two young men from Italy could not have been more accommodating. We had a wonderful time and a great meal. I went in there for lunch today, with my friend and my baby; I am happy to say we were looked after really well,the man serving us was very helpful and couldn't do enough for us to enjoy the experience. Beautiful food, amazing service and such a lovely atmosphere! Can't wait to go back! The Parrot is an old pub by any standards, the oldest in Canterbury and possibly in Kent too. Despite that it is clean, bright and airy with a friendly clientele and staff, plus the kind of atmosphere that only comes from many centuries of good times. A city centre pub with an old world feel. Great food. Friendly staff and fast service. Always recommend the Parrot to our friends and family. Haven't tried there roast dinner yet tho! Absolutely gorgeous food! Prawn starter and pulled pork sizzler are to die for.....and gypsy tart Highly recommend! !